Since it’s my birthday, I figured I’d celebrate with an old friend’s “favorite books” list, since she’s already been with me during an actual birthday or two. I have known Kira since I was 13 years old! We went from grade 8 to high school together (grade 10 or 11? ), and she was one of my very best friends. We lost touch over the years, but fortunately, Facebook brought us back together again! And I was thrilled!!! Because some of my most fun “growing memories” involve Kira. She would help me study for tests on some mornings, in the back of that very bus. Now she’s a HUGE Dave Matthews fan! She also was constantly quoting “The Princess Bride”. She was HOOKED. And Kira… I still haven’t watched it. Eeeeeep!! She “trained” me to babysit! (I took over once or twice for her usual babysitting job). Her mom closed the mini-van door on my fingers once, but!!! It was a cool fancy new van with padding, though, so I didn’t feel a thing. In fact, I wriggled my fingers for her (while still enclosed in that door) to show her all was functioning! There was panic though. LOL!!! I think a few hearts stopped temporarily that day. She. Had. A. HOT. TUB. Well.. her parents did. But HOW COOL WERE THEY?! Anyway, not only was I thrilled to reunite with Kira via our Facebook account, but to realize that she was “following me” because, she TOO was an avid reader. Oh… the reader part didn’t surprise me in the least. OF COURSE Kira was an avid reader. But to realize that she liked… what WE liked? Tee hee!!! I was tickled pink!!! So what did she send over? Actually I was tagged in this a year or so ago (when I TAGGED her to list it), so perhaps she has new favorites, but this list is new-to-me gold!!! Anything by Martha Beck —- sensing a pattern here? Wishing you a very Happy Birthday Maryse! Glad you found your childhood friend again. Awesome pic by the way! Harry Potter is amazing. Me Talk Pretty One Day is probably my favorite of Sedaris that I’ve read. My favorite of his holiday stories is Six to Eight Black Men. You have to YouTube it to hear him read it live, the Carnegie Hall one. The Glass Castle was so good and moving. And of course this list.. right? LOL! Awww, I think the photo is the cutest ever. 1. That’s just inviting karma to come bite you on the a$$. 2. I know how I looked at 13. Nuthin cute there. Lee even made fun of me on Facebook! LOL!!! Hair Karma is not allowed to bite me because she owes me big time!!.. like seriously have you seen my hair? 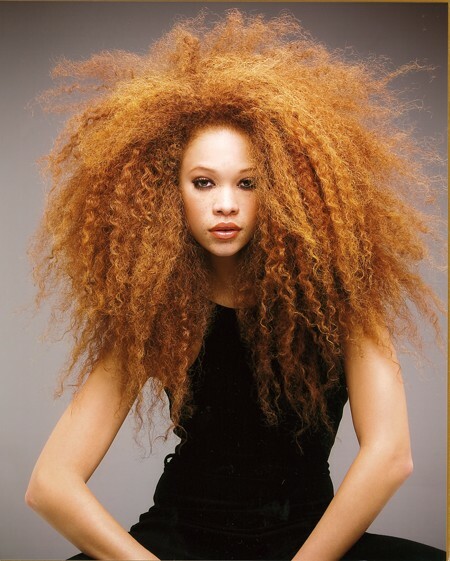 just google – CURLY HAIR | The VandalList – the #3 picture.. that’s me .. EVERY.DAY!! No joke! Yay!! My books friends and my school friends are now finding each OTHER in books and preferences. Very cool!! *big hug* to my fellow Leo, Diane!!! Lee, this one? Cause I think you probably look awesome. PS. Imagine it with someone white as paper, chinese eyes and black hair! did you say yikes?? LOL!! Um, Lee? That’s not yikes, that’s pure awesome. Can I ask what products you use on it? It must take a lot of TLC. Some different books on her list- I haven’t read any of them, except of course for #10!! I love the pic Maryse! Haven’t read any of these books…..gotta check them out!